The Inca Empire was the largest prehispanic society of South America when it was 'discovered' by the Spanish conquistadors led by Francisco Pizarro in the 16th century AD. At its height, the Inca empire controlled all of the western part of the South American continent between Ecuador and Chile. The Inca capital was at Cusco, Peru, and the Inca legends claimed they were descended from the great Tiwanaku civilization at Lake Titicaca. Archaeologist Gordon McEwan has built an extensive study of archaeological, ethnographic, and historical sources of information on the Inca origins. Based on that, he believes that the Inca arose from the remnants of the Wari Empire based at the site of Chokepukio, a regional center built about AD 1000. An influx of refugees from Tiwanaku arrived there from the Lake Titicaca region about AD 1100. McEwan argues that Chokepukio may be the town of Tambo Tocco, reported in Inca legends as the originating town of the Inca and that Cusco was founded from that city. See his 2006 book, The Incas: New Perspectives for more detail on this interesting study. In a 2008 article Alan Covey argued that although the Inca arose from the Wari and Tiwanaku state roots, they succeeded as an empire—compared to the contemporary Chimú State, because the Inca adapted to regional environments and with local ideologies. The Inca began their expansion from Cusco about 1250 AD or so, and before the conquest in 1532 they controlled a linear stretch of some 4,000 kilometers, including nearly one million square kilometers in area and over 100 different societies in coastal regions, pampas, mountains, and forests. Estimates for the total population under Incan control range between six and nine million persons. Their empire included land in what are the modern countries of Colombia, Ecuador, Peru, Bolivia, Chile, and Argentina. To control such a huge area, the Incas built roads, including both mountainous and coastal routes. One existing fragment of the road between Cusco and the palace of Machu Picchu is called the Inca Trail. The amount of control exercised by Cusco over the rest of the empire varied from place to place, as might be expected for such a huge empire. Tribute paid to the Inca rulers came from farmers of cotton, potatoes, and maize, herders of alpacas and llamas, and craft specialists who made polychrome pottery, brewed beer from maize (called chicha), wove fine wool tapestries and made wooden, stone, and gold, silver and copper objects. The Inca were organized along a complex hierarchical and hereditary lineage system called the ayllu system. Ayllus ranged in size from a few hundred to tens of thousands of people, and they governed access to such things as land, political roles, marriage, and ritual ceremonies. Among other important duties, ayllus took maintenance and ceremonial roles involving the preservation and care of honored mummies of the ancestors of their communities. The only written records about the Inca that we can read today are documents from the Spanish conquistadors of Francisco Pizarro. Records were kept by the Inca in the form of knotted strings called quipu (also spelled khipu or quipo). The Spanish reported that historical records—particularly the deeds of the rulers—were sung, chanted, and painted on wooden tablets as well. The Inca word for ruler was capac, or capa, and the next ruler was chosen both by heredity and by marriage lines. All of the capacs were said to be descended from the legendary Ayar siblings (four boys and four girls) who emerged from the cave of Pacaritambo. The first Inca capac, the Ayar sibling Manco Capac, married one of his sisters and founded Cusco. The ruler at the height of the empire was Inca Yupanqui, who renamed himself Pachacuti (Cataclysm) and ruled between AD 1438-1471. Most scholarly reports list the date of the Inca empire as beginning with Pachacuti's rule. High-status women were called coya and how well you could succeed in life depended to a degree on the genealogical claims of both your mother and father. In some cases, this led to sibling marriage, because the strongest connection you could have would be if you were the child of two descendants of Manco Capac. The dynastic king list which follows was reported by the Spanish chroniclers such as Bernabé Cobo from oral history reports and, to a degree, it is somewhat under debate. Some scholars believe that there was actually a dual kingship, each king ruling half of Cusco; this is a minority viewpoint. Calendrical dates for the reigns of the various kings were established by Spanish chroniclers based on oral histories, but they are clearly miscalculated and so are not included here (some reigns supposedly lasted over 100 years). Dates included below are those for capacs that were personally remembered by the Inca informants to the Spanish. The kings of the Inca society were called capac. Capacs could have multiple wives, and often did. Inca nobility (called Inka) were mostly hereditary positions, although special persons could be assigned this designation. Curacas were administrative functionaries and bureaucrats. Caciques were agricultural community leaders, responsible for maintenance of agricultural fields and tribute payment. Most of the society was organized into ayllus, who were taxed and received domestic goods according to the size of their groups. Chasqui were message runners who were essential to the Inca system of government. Chasqui traveled along the Inca road system stopping at outposts or tambos and were said to be able to send a message 250 kilometers in one day and to make the distance from Cusco to Quito (1500 km) within one week. After death, the capac, and his wives (and many of the highest officials) were mummified and kept by his descendants. Population: Estimates widely accepted by Inca scholars range between six and 14 million within an area extending from Colombia to Chile, in 1532 when the Spanish arrived. 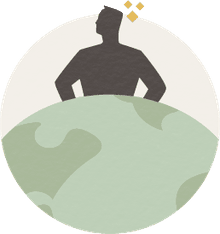 State language: Inca rulers adopted a form of Quechua for their administrative language and doing so spread it into outlying areas of their empire, but the Inca incorporated many different cultures and their languages. The Inca called their form of Quechua "runasimi" or "man's speech". Writing system: The Inca apparently kept accounts and perhaps historical information using a quipu, a system of knotted and dyed string; according to the Spanish, the Inca also chanted and sang historical legends and painted wooden tablets. Agriculture: When necessary in the steep Andean terrain, the Inca built terraces with a gravel base and stepped retaining walls, to drain excess water and allow water flow from the terrace tread to the next terrace downslope. Construction techniques used by the Inca included fired adobe mud bricks, roughly shaped stones interspersed with mud mortar, and large, finely shaped stones coated with mud and clay finishing. The shaped stone architecture (sometimes called 'pillow-faced') is among the finest in the world, with large stones sanded into tight jigsaw like patterns. The pillow-faced architecture was reserved for temples, administrative structures and royal residences like Machu Picchu. Many Inca military installations and other public architecture were constructed throughout the empire, at sites such as Farfán (Peru), Qara Qara and Yampara (Bolivia), and Catarpe and Turi (Chile). The Inca Road (Capaq Ñan or Gran Ruta Inca) was built connecting the empire and included some 8500 kilometers of major thoroughfare crossing fifteen distinct ecosystems. 30,000 kilometers of subsidiary trails branch off the main road, including the Inca Trail, which is the part that leads from Cusco to Machu Picchu. 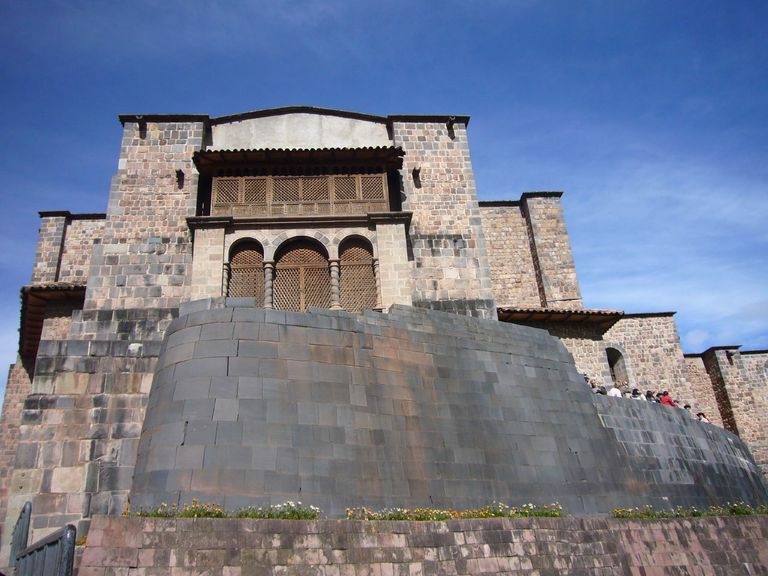 Ceque system: a system of shrines and ritual pathways radiating out from the capital city of Cusco. Emphasis on ancestor worship and fictive kinship structures (ayllus). Capacocha ceremony: a state event that involved the sacrifice of objects, animals and sometimes children. Burials: The Inca dead were mummified and placed in open sepulchers so that they could be disinterred for important annual ceremonies and other rituals. Adelaar, W. F. H.2006 Quechua. In Encyclopedia of Language & Linguistics. Pp. 314-315. London: Elsevier Press. Covey, R. A. 2008 Multiregional Perspectives on the Archaeology of the Andes During the Late Intermediate Period (c. A.D. 1000–1400). Journal of Archaeological Research 16:287–338. Kuznar, Lawrence A. 1999 The Inca Empire: Detailing the complexities of core/periphery interactions. Pp. 224-240 in World-Systems Theory in Practice: Leadership, production, and exchange, edited by P. Nick Kardulias. Rowan and Littlefield: Landham. McEwan, Gordon. 2006 The Incas: New Perspectives. Santa Barbara, CA: ABC-CLIO. Online book. Accessed May 3, 2008. What Connects Llamas and Alpacas, Vicunas, and Guanacos?